eBay sellers face potential challenges with orders that come in on Christmas Eve. While the USPS will close most Post Office retail counters at noon on Monday, eBay considers the day to be a normal shipping day. eBay issued the clarification on Friday. It also noted that it does not consider December 25 and January 1 to be shipping days and that sellers "would not receive late shipments for these dates." "What does this mean for sellers? If your local post office closes earlier than normal on December 24, this may impact your handling time and late shipping metrics. For example, if you have a same day handling time, and your daily cut off is 3pm, but your post office has already closed, you may receive a late shipping metric." eBay advised sellers to consider changing or extending their handling time so they do not ship on December 24th. Sellers whose postal carriers pick up orders when delivering mail should note that mail delivery would continue as usual on December 24th. What have you experienced with regard to Christmas Eve orders and shipments in years past? Do you expect any bumps in the road this year? Why would anyone expect anything different from Greedbay???? 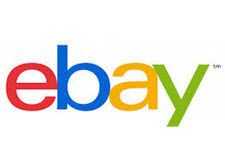 Is EBAY INCAPABLE of Doing the Right Thing? This policy announcement says, NO they are not capable of Doing the Right Thing. Would it have KILLED THEM to just internally ELECT to TOGGLE Dec 24th a NO SHIPPING REQUIRED DAY just like they QUITE CORRECTLY are doing for Dec 25? Yet another sign that eBay middle-level management is just as INHUMANE and CLUELESS as Top Management. Amazing. eBay admits they know most post offices will be closing at noon, but too bad so sad for sellers, you better be at the post office when they open on Monday or you'll be dinged for late shipping. eBay must be getting more desperate by the hour and hoping that they can get that extra percentage on FVFs. I am not sure why anyone would expect it to not be considered a normal shipping day. December 24th is NOT a holiday. People take half the day off and many businesses close to prepare for Christmas Day however. It is up to sellers to plan accordingly. It is rare for eBay to give sellers clear direction on anything, but they have done it here. The biggest challenge this year as I see it is that Christmas Eve falls on a Monday, typically the busiest shipping day of the week. I personally don't want the headache of trying to get items out on Monday. My sales the final days before Christmas have been historically low (under $100 a day). I decided to put my store on vacation through the weekend and will probably reopen the 24th or 25th with orders going out the day after Christmas. ebay metrics has taken the place of the boogey man. With so many sellers taking their ball and going home, who really cares anymore? They should be worried their OWN metrics, starting with their stock price. Ebay hits just keep coming. THANK GOD I got out of the ebay trap. I feel bad for sellers, the noose just keeps getting tighter. They control EVERY PART OF YOUR BUSINESS. You never know when you wake in the morning and turn on your computer if you are going to see the dreaded MC999, or whatever they call it today. I look forward to going to the Post Office tomorrow with this weekends orders. My customers expect GREAT service and I will give it to them! That's the way I roll. . . . The post office did close today at noon, but the drivers were on a regular schedule driving around neighborhoods and businesses, so as long as a truck was coming by your house or office today you should have been fine getting the mail out even if it was after 12. As @I must be crazy said the 24th is not a holiday so either get your packages out the 24th, get them out 21st Friday or 22nd Saturday or just wait and ship them out on the 26th. But don't take off the 24th then complain about ebay making it a shipping day. You people need to start treating this like a business and not some hobby. For me, USPS was suppose to pick up and deliver mail, but they never came. That is a first for me. They never showed up at all. it's a shame that these so called venues can so easily brain wash the people into believing that the world is flat again. the sellers , the venues , or the people will never change that. honesty is no longer there. it's all money , money , money. My post office had regular hours on Dec 24. I didn't experience any issues (that I know of, LOL)! eBay is often WRONG about how they do things and mean spirited about rain storms, snow storms, ice storms, fire storms, earthquakes and the biggest one: POWER failures and data failures! Every-time I am victimized by their metrics I think to myself that they are earning bad KARMA, and soon enough a earthquake, or fire storm will humble them. @ bb6 "You people need to start treating this like a business and not some hobby." I think you've got that backwards buddy, you seem to be the one treating it like a hobby. I have a physical retail store, and the mail is delivered/picked-up at 10am. I can't close the store & run out to the post office for whatever comes in after 10am... and anything ordered after 12pm I could not get out even if I did! For home selleres, this isn't a problem, you can run out, and most houses get their mail after 2pm.